I would never have thought to write about why building an email list is important in this era of online marketing. But after several recent conversations with clients, I was amazed by how many question why they need this critical marketing tool. Once I have the list, then what? In addition, people believe that building followers and friends on social networks is enough. Unfortunately those connections can be viewed as rented, not owned, and can disappear as quickly as they came into being. And with the changes to many of the social media platforms, organic visibility has substantially decreased. Ownership of the list is yours. Subscribers opted-in, giving you permission to stay in touch. You don’t own lists of your friends or followers on social media. Access is direct to all of your subscribers. Email goes directly to their inbox, enabling you to share and communicate more effectively. Communication is targeted and proactive. You set the schedule and topics to share, reaching these interested parties at the right time with the right information. Email is personal. Subscribers can read your email privately and communicate back to you one to one, building trust in your brand. Email is a valuable asset. If you ever want to sell your business, your email list, like your client list, will increase the value of the business to your potential buyer. If done correctly, email is still the most effective way to communicate online. It continues to work for many small businesses because people get your message in their inbox where it stays until they are ready to read it, unlike the social media news feeds. And since opting into your list is voluntary, there is a much better chance that your subscribers will read your material and convert into a customer. But if these benefits aren’t enough to convince you to get started, maybe Derek Halpern can with his video “If you are not building an email list, you’re an idiot”. Now that we have convinced you that you need to build an email list, how do you go about it? Offer a useful tool or content as a gift for signing up. Decide what your audience really needs and produce it for them. Host a free webinar and require people register. Just make sure your webinar is educational, not full of self-promotion. 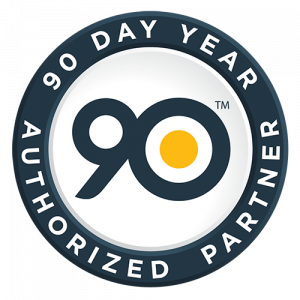 Collaborate with a partner to promote your offer to their audience. Some offers will work better for some industries than others which is just one more reason why you must have a plan and thoroughly understand your target client. Like every other marketing activity you plan to do, you must understand who you are trying to attract and why. You will get more subscribers because it means people can safely unsubscribe. Your email will come from a reputable service which builds trust. No one trusts email messages coming from an anonymous source. The email will be more likely to get to their inbox than it will being sent from your personal email account. Although there are many good email marketing services, such as Aweber, Constant Contact and iContact, MailChimp is the best option for small businesses. You can get a free account for up to 2000 subscribers and 12,000 emails per month. They support an “RSS-Driven campaign” which sends your blog posts to your subscribers when your RSS feed is updated with new information. 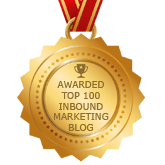 This gives you the all-important “subscribe by email” for your blog posts. The email templates are all mobile enabled so your emails are readable on all devices. Make your form easy to find. Don’t just have it on a separate page that people have to find because they won’t. The more you make people click, the less conversions that will happen. Give people the ability to signup at the end of a post. If they have read that far, they are more likely to want to get more content from you. Include a very visible button with a specific call to action. You need to help people know what to do when they land on your page. Don’t ask for what you don’t need. 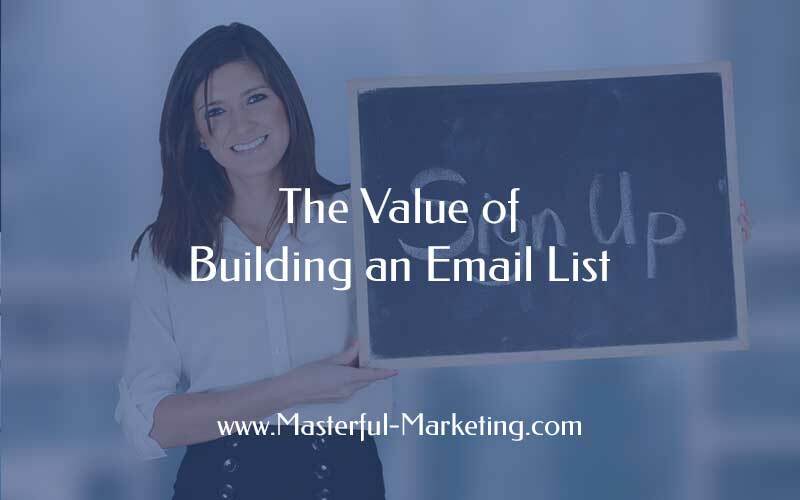 Less is more in email list building tactics so keep it simple with email and first name so you can personalize your email and nurture a relationship. Add your sign up form to your landing tab on your Facebook Page to encourage new fans to sign up as well as like your Facebook page. Include the link to your your form in your email signature. Execute inbound marketing activities to drive qualified leads to your website where you can educate them on your area of expertise. Create and share content regularly to increase your visibility. Once you have their permission, continue to provide valuable content that is helpful to them. It is a privilege that they gave you something as valuable as their email address. Once you have their permission, do not abuse it. What creative ideas do you have to build a quality email list for your business? E-mail list is a basic thing in every company. Thanks for your tips. I must use it immediately. Jawad – a home grown email list is part of your owned media channels that you control. Not having an email list is leaving a major whole in your marketing plan. Cheers. I’m working on slowly and steadily building up my list. Mainak – that’s the best way to build your list – slow and steady attracting the right people. Thanks for commenting.